Looking for a screen grabber? 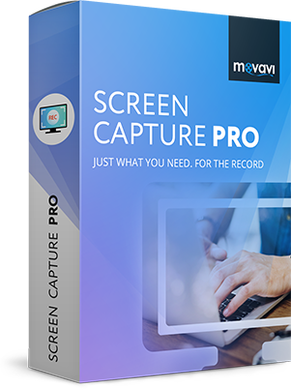 Use Movavi Screen Capture Pro! 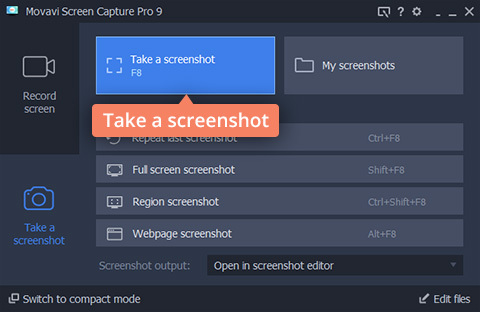 Take instant screenshots, insert different elements, and share the result with colleagues or friends. Change grabbed images to use them as illustrations in a tutorial about a website or app. Capture error messages, insert arrows and captions, and send them to troubleshooting specialists. Grab screenshots to illustrate statistics or create guides for visitors to your website. 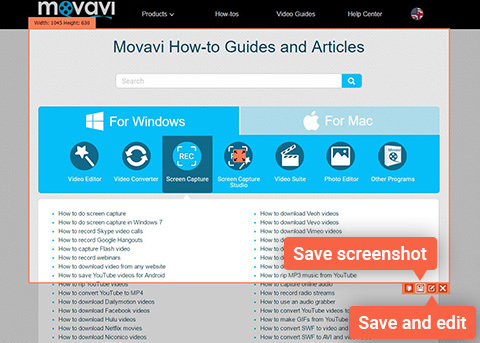 Just download Movavi Screen Capture Pro for PC or Mac and follow the steps below. Run the distribution file and follow the instructions to install the app. In the launcher window, open the Take a screenshot tab and click Take a screenshot. Use the Crosshair tool to select the area of your computer screen you want to grab. A screen capture frame will appear. Adjust the frame if necessary. To take a screenshot with the app, click the Save screenshot icon in the lower part of the frame. The folder with the screenshot will open automatically. 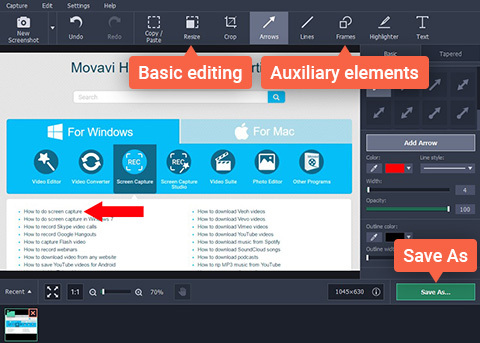 If you want to edit the screenshot, click the Save and edit icon to the right. 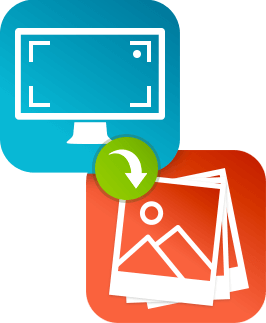 If you clicked the icon for editing, a new window will open in which you can edit the captured image. Use the cropping tool to cut away unwanted parts. Copy and paste different areas of the picture, if appropriate. Insert additional elements like highlighters, lines, arrows, frames, or text captions. 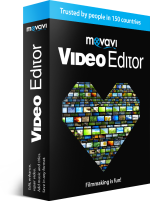 Once you’ve finished editing, click Save As and choose the format for your screen grab that best suits your needs.